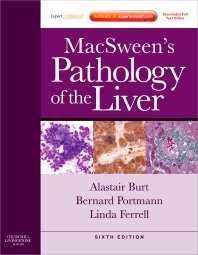 MacSween’s Pathology of the Liver delivers the expert know-how you need to diagnose all forms of liver pathology using the latest methods. Updated with all the most current knowledge and techniques, this medical reference book will help you more effectively evaluate and interpret both the difficult and routine cases you see in practice. Compare the specimens you encounter in practice to thousands of high-quality images that capture the appearance of every type of liver disease. Efficiently review all the key diagnostic criteria and differential diagnoses for each lesion.